Birdwood is the only 5 star accommodation within walking distance (300 metres) from Loftus Stadium in Pretoria, Gauteng, South Africa. We are also close to the Hatfield Shopping and Entertainment Centre (a five minute walk) as well as the Virgin Active Health and Fitness Centre. Of the 26 rooms, 4 can be offered as self catering. 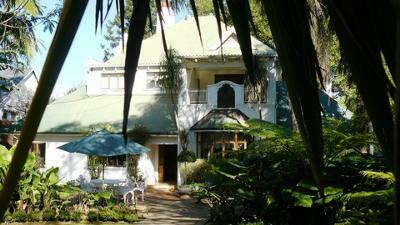 All rooms have en–suite bathrooms, satellite television, direct dial telephones. Meals are served in our five star restaurant which has been awarded a Chef's Cap. The quality of our rooms is of a very high standard and tastefully decorated. Ample parking space provided with 24hour security guards ensuring the safety of our guests at all times.